Teeth whitening has become more and more popular in the last decade. Teeth can yellow or change colour because of diet, age or drinking too much coffee, tea and cola. Smoking is another big culprit. First is the Dentech 35% Home Laser Teeth Whitening Kit, which has received generally positive reviews from customers. Dentech claim that the kit will make your teeth 11 shades whiter with continued use. You can see results in as little as three days and these results can last for up to two years. The Dentech kit is available online for around £20 to £30. There is enough gel in the pack to keep you going for around 60 applications. Everything you need is included: teeth whitening trays, teeth whiting gel, de-sensitising gel, an LED light with batteries and the all-important instructions! 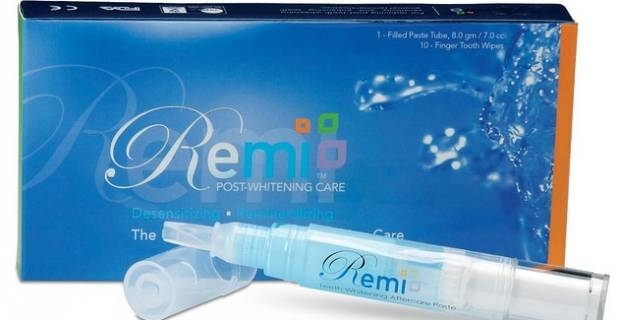 Next is the Rio Blue Light Teeth Whitening Kit. It is also available online for around £20 to £30. For that you will receive the blue light teeth whitening unit with batteries, two mouth trays, whitening gel, syringe applicators and instructions. This kit has received mixed reviews - some people have noticed immediate results while others have not noticed any results. Many people believe that they can achieve a pearly white smile after using these products, but unfortunately it's not that simple. At-home kits can make your teeth whiter, but effectiveness depends on a range of factors - most notably how stained your teeth were before you started the process.